Technology has brought many wonderful things to the angling world. With all of the benefit however, have come a number of issues that complicate the way we pursue fish. Technique specific rods, specialty lines, reels with various gear ratios, countless styles of hooks and sinkers…..where does it end? I thought we went fishing to relax. Even a bass-dork such as myself has a hard time keeping on top of everything. It takes a bit of study, but knowing how all of your tools work is critical to making the most of your time on the water. All of that effort is easily wasted though, if once you get to the lake you spend fifteen minutes juggling the same bait in ten different colours. What should colour mean to the angler? Confidence. You need to have confidence to be successful. If you have no basis for colour selection, then you’ll have a hard time having confidence in what you’re throwing. Obviously colour isn’t the only reason fish bite, but it makes a bigger difference in some baits than in others. Baits with more sound and vibration like spinnerbaits, chatterbaits and crankbaits attract fish with more than just colour. Fish track those baits with their lateral lines. Bass can find and bite hard-thumping baits almost regardless of colour. The main factors to consider are water clarity, sky conditions, and the predominant forage. Water clarity is affected by both the colour of the water and the amount of wind. The turbulence created by wind stirs up particles in the water and breaks up light penetration. This affects the visibility even in the clearest of water. On the other hand, visibility is enhanced by high skies and slick-calm conditions in stained water. Taking these into consideration, think of how your bait will appear to the fish. 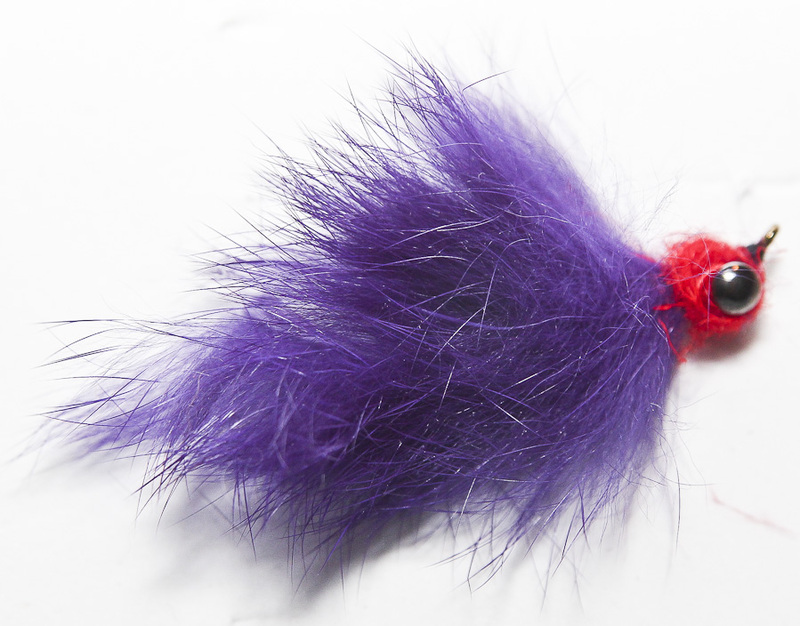 Your lure should be easy for them to find without appearing too unnatural. Of course fluorescent jerkbaits and spinnerbaits will always have their place, but we’re talking about a starting point. We’ll discuss experimentation shortly. Remember that bass eat natural prey all the time, and that nature designed the forage base to blend in to the environment. Generally speaking, the slower I’m fishing the more natural I want my bait to appear. If I’m burning a spinnerbait, rocking a squarebill crank, or snapping a jerkbait for all that I’m worth, I’m far less concerned about colour. Bass that bite these fast presentations are reacting to the baits panicked movement more than their physical appearance. So, how does an angler stock his tackle box to take the guesswork out of colour selection? Below is a simple guide that includes what I consider “must have colours” for each family of baits. Different bodies of water will always have “hot colours”, but the ones on this list will catch bass anywhere. 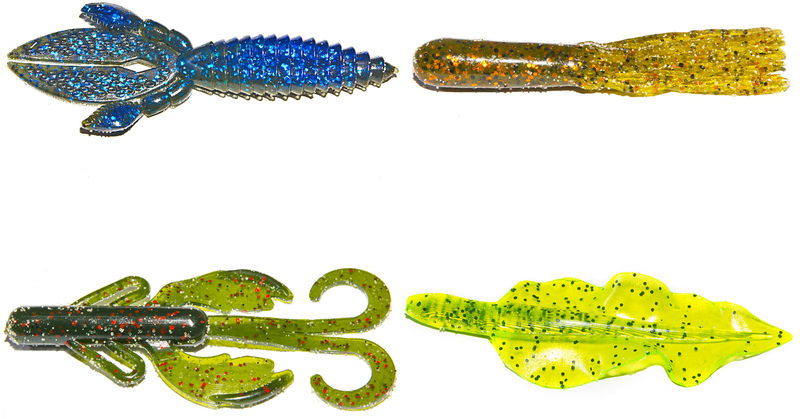 JIGS/FLIPPIN’ BAITS: Black and blue laminate or black with red flake for stained water and cloudy days. Green pumpkin and brown combinations for clearer water and bright sun. SPINNERBAITS/CHATTERBAITS/CRANKBAITS: Fluorescent colours for cloudy days and stained water, subtle baitfish patterns for clear water. 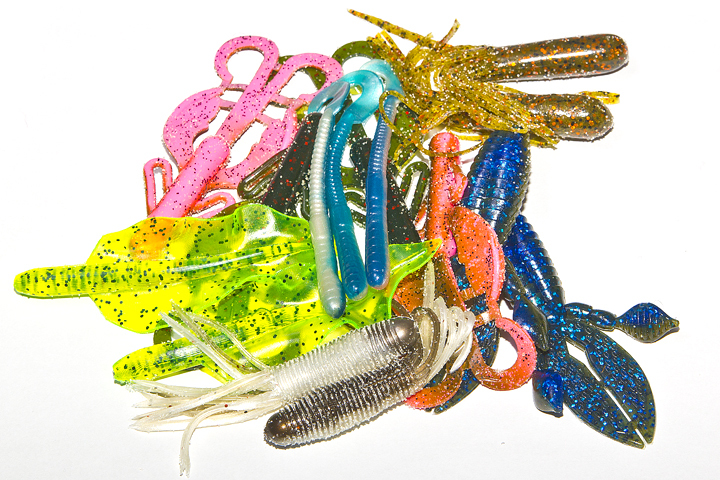 JERKBAITS: Visibility is very important in jerkbait fishing. Since many jerkbaits have minimal sound and flash compared to other horizontal presentations, it is vital that fish can see the bait. In clear waters, go with baitfish hues. When the wind and clouds roll in and the water stains up, however, brighter colours work better. 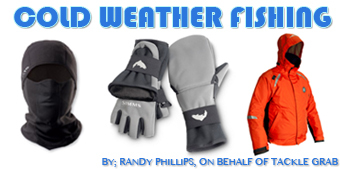 Blaze orange, chartreuse, and hot pink broaden the strike zone when visibility is limited. FINESSE BAITS: Natural is key to slow moving or dead-sticked presentations. Green pumpkins, browns, subtle minnow patters work well when fish can examine the bait for a long time. A touch of chartreuse on the tail can add appeal in stained water. Whenever I’m throwing what the bass “should” be biting, but the action is slow or I’m getting short strikes, I change colours. The depth and speed of your presentation should be your first consideration. Once you know where the bass are and their mood, you can fine tune your presentation with colour. For example, let’s say I’m skipping a black and blue finesse jig under docks. The water is stained, the sun is high, and there is little wind. I’m getting bites, but I can’t seem to get a good hookset. I swing on the fish, but my jig just sails back toward me and my trailer is bitten off. In this case I know that there are aggressive fish under the docks. To fine tune my presentation, I switch to a colour they’ll commit to eating. In this situation, my next colour choice would be green pumpkin with a bit of red flake. 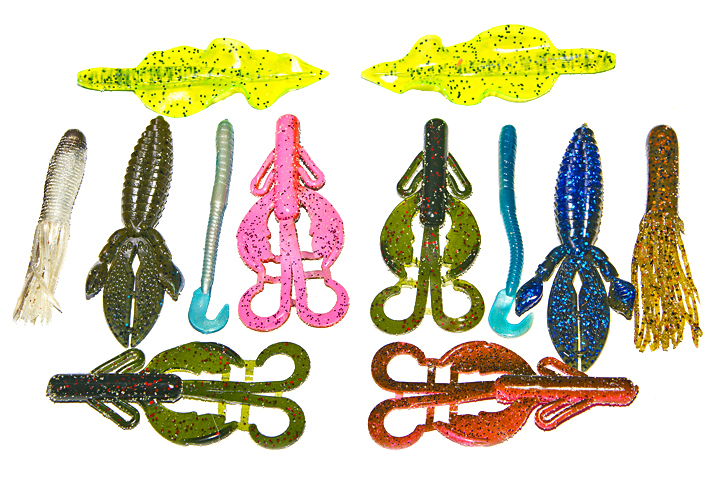 This jig is identical to the first, only the subtle green with a little red flash appears more natural. The fish can still see the bait, but the outline is broken up. Hopefully this colour change results in solid hooksets and zero missed fish. 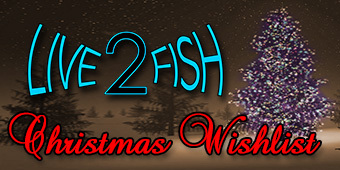 Switching colours can also be a great way to get a few more fish out of the same spot. Last summer I was punching a mat with a 1oz. weight and caught several fish on a black and blue Sweet Beaver. I went back through the same mat with the same bait in green pumpkin and caught two more good fish. Don’t become emotionally attached to any bait colour. I’ve seen days when fish preferred a black with red flake creature bait over the usual black and blue. I’ve also caught some beautiful fish on subtle crankbaits in water with only a foot of visibility. The bottom line is we have to let the fish tell us what they want. Use the guidelines in this article, experiment, and develop confidence in colours that work on your body of water. That confidence will allow you to present your baits better and land more fish.